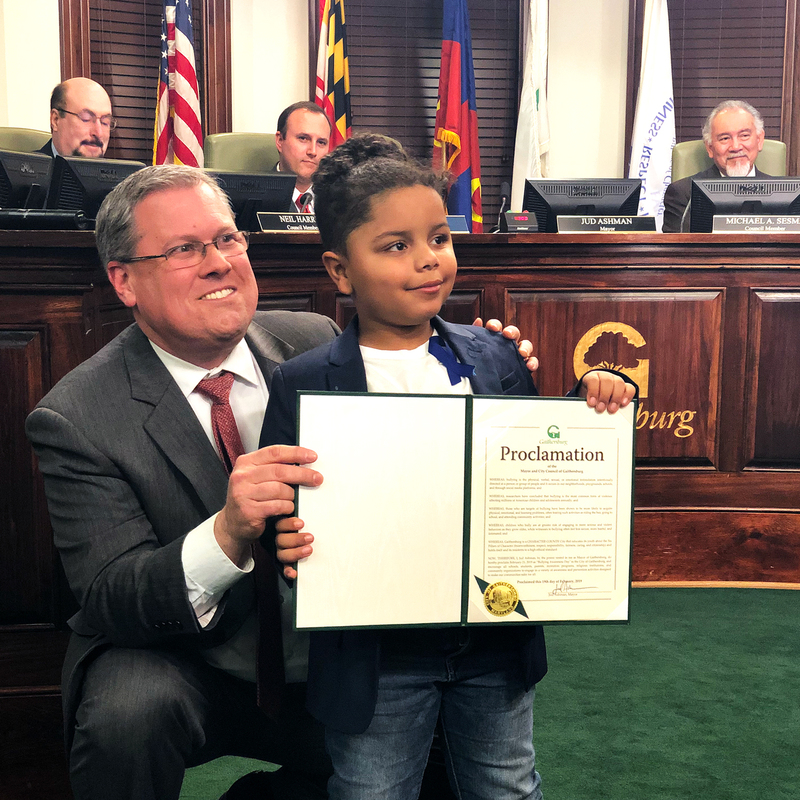 In January 2018, a kindergartener named Cavanaugh stood before the mayor and city council members of his small town in Maryland to deliver an impassioned anti-bullying speech. Twelve hours after Cavanaugh spoke at the city council meeting, the mayor called: Cavanaugh’s request had been approved, and February 21 had been designated Antibullying Awareness Day. 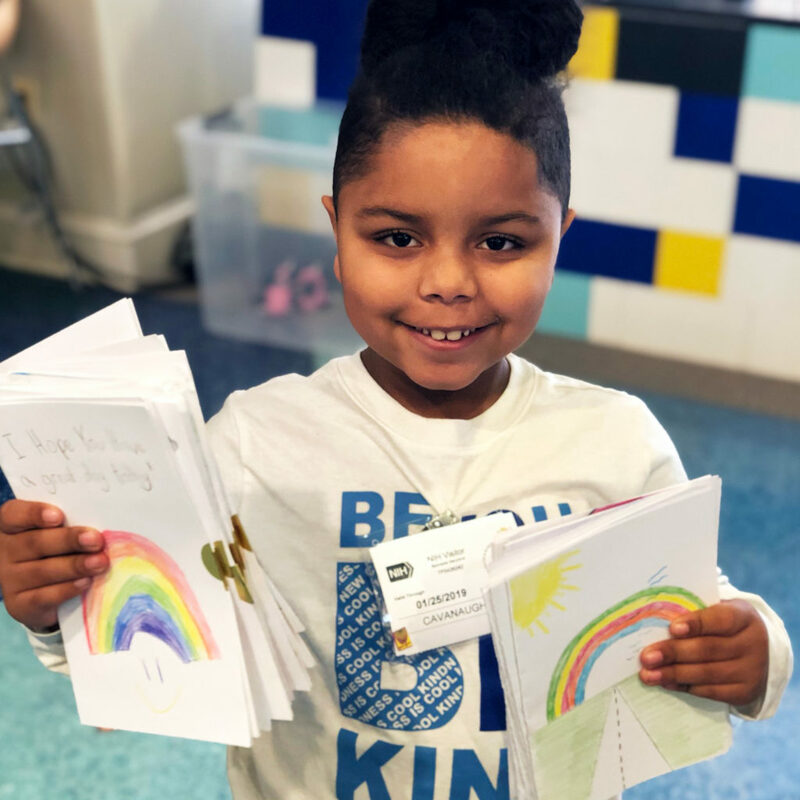 We were delighted to have the opportunity to speak with Llacey and Cavanaugh about Cavanaugh’s nonprofit, Cool & Dope, his hopes for the organization, and what one book and one child can do to inspire change starting with their own community. Llacey and Canavaugh, thank you both so much for taking the time to talk with us! Can you tell our readers a bit about how Cavanaugh was inspired to help others? How did the idea to petition the mayor of your hometown for an Anti-Bullying Awareness Day come about? Llacey: I watch the news ALL the time and there was a news report about a case in Ohio. A little boy committed suicide due to bullying at eight years old. His name is Gabriel Taye. Cavanaugh saw it and asked what happened and I explained, in as kid-friendly terms as possible, and he immediately started to cry. That was when he confided in me that he was bullied in preschool. I knew back then that something was off, he stopped eating for weeks but he never really opened up about what was going on. So, during that time, I also shared with him how I had been bullied and even attempted suicide at eight years old (something I never admitted to anyone until my 30s). He said he didn’t want other kids to feel that darkness that he felt, so he asked if he could talk to the President. So, he wrote a letter to the President. Then he said that he wanted to do more, so I mentioned that City Hall is within walking distance and maybe he could go talk to the mayor. I had no idea that we could just go to testify at their meeting, but they welcomed Cavanaugh with open arms and he prepared his speech, which he wrote himself. It just so happened that Gabriel’s birthday was a few weeks away, so we picked that date to honor his legacy. Can you tell us more about Those Shoes, which I understand sparked the creation of Cool & Dope, and why it resonated? Cavanaugh: I liked Those Shoes because it showed me that I have to do more to help other people who need help. I have a lot of toys and I don’t really need more. That’s why for my birthday in November, I told my mom that I didn’t want any toys and I asked people to donate $6 for my birthday so I could make care packs for the homeless. After I did that and I was surprised how much people helped me, even people I didn’t know. That’s when I begged my mom to help me give back even more. And that is how we started Cool & Dope. 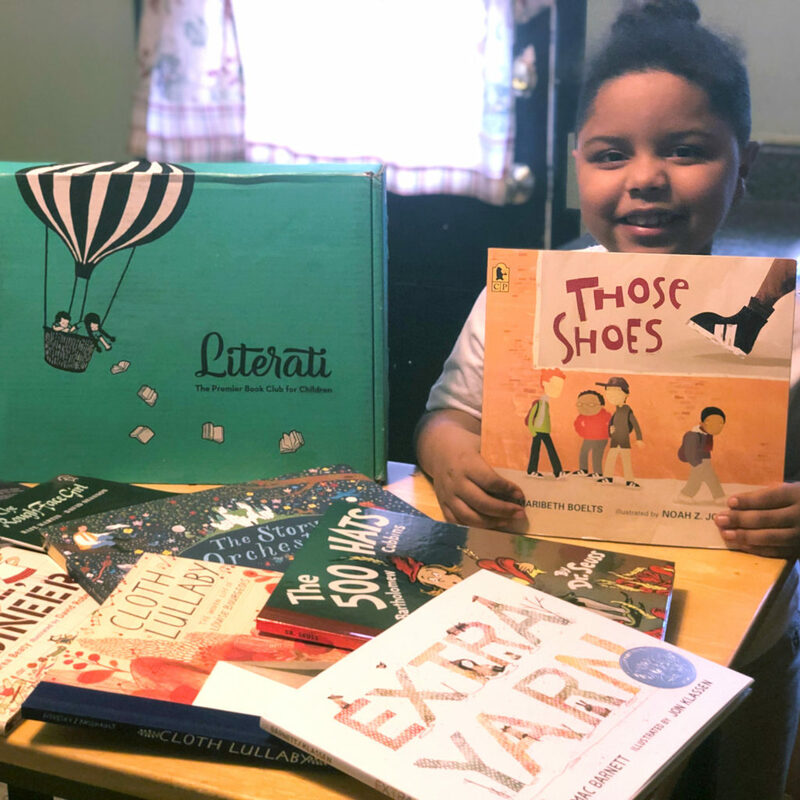 Llacey: Literati has been an amazing resource for my family to unlock a sense of curiosity, a love of reading, and a passion for giving back. The books every month spark some of the most incredible conversations in our house and one Literati book in particular was the catalyst to launch my son and I on a life-changing mission with Cool & Dope. It has been through our experience with Literati that I’ve been able to teach my son, through powerful stories, the importance of giving back and cultivating positive change in the world. Cavanaugh, what’s Cool & Dope’s mission? Cavanaugh: Cool & Dope is an organization that is all about raising awareness and giving young kids ways to give back. I hope Cool & Dope can inspire 10,000 kids to give back each year to show the world that we can have an impact, no matter our age. Llacey, watching your child take on something so much bigger than himself with such passion, what’s your takeaway as a parent? Llacey: It has been absolutely incredible! I’ve always known that Cavanaugh was a social justice kind of kid since he was a toddler, but to be able to support him as he is literally changing the world has been a life lesson I — and, I think, we all — can learn from. To be able to see and help him come up with a lofty goal and follow through with it, at just six, is the reminder I need that nothing is out of reach, as long as we stay committed. You’ve been Literati members since January 2018. What other conversations have you had that were inspired by books sent through the service? 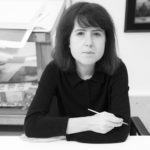 Llacey: How about experiences? Because Literati books really gave Cavanaugh and I the seeds we needed to dream and to dream BIG! We read The Rough Faced Girl [by Rafe Martin] and had this incredible exploration about the Native American culture, which lead us to go to South Dakota, which sparked an amazing conversation and history lesson about the Trail of Tears, which has now led him to wanting to ride his scooter 22 miles from our home in Maryland to the National Museum of the Native American in Washington, D.C. to raise awareness about the poverty on the reservations. To be able to have a kid-friendly way to approach topics that then spur a host of insightful questions has been truly a godsend. Even books like Iggy Peck, Architect [by Andrea Beaty] has sparked conversations about breaking through barriers and achieving WHATEVER you want. 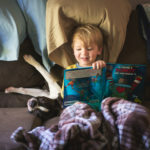 The underlying themes of self-acceptance, achievement, empathy, and creativity that Literati’s books have make them a must-have for the 21st-Century parent. What kind of response have you seen from your local community? What about on a broader scale? Llacey: The local community has been GREAT! We got local businesses to donate, spread the word, share our posts, etc. Cavanaugh’s work even made it all the way to Capitol Hill and to the State Senate! 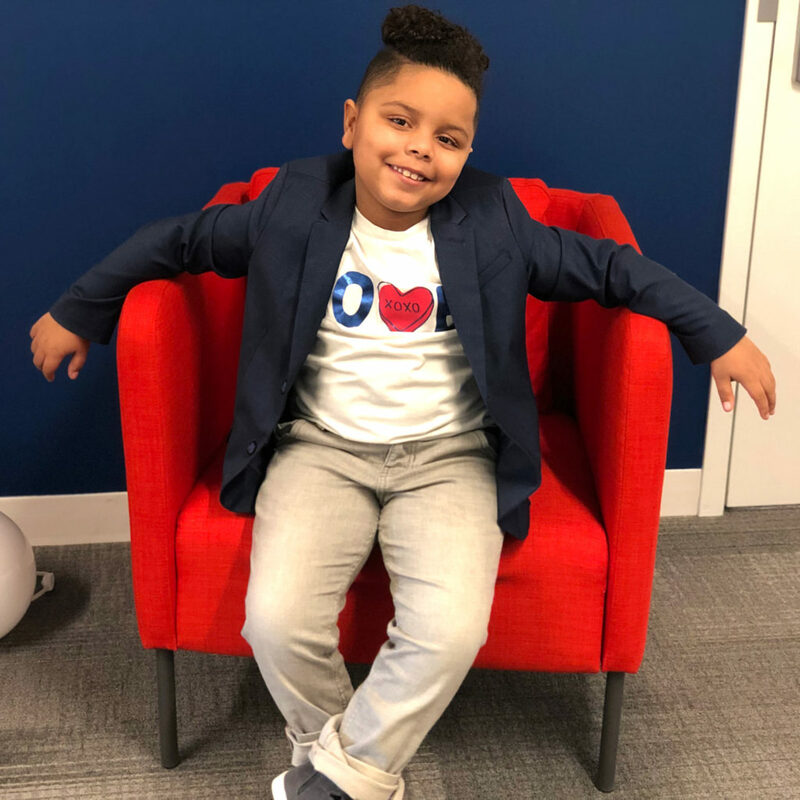 He received a Certificate of Congressional Recognition from David Trone and got to shadow State Senator Cheryl Kagan who presented him with a State Citation for his work as well. On a broader scale, I cannot tell you how many young people have reached out and confided in us about their bullying stories and their suicide attempts. It has helped for them to see one of their peers speak out about it and try to change it. You know it is one thing for adults to always tell students and kids that they should act if they see bullying, but it often takes a child to speak up and speak out for other kids — and adults — to listen. What’s next for Cavanaugh and Cool & Dope? Llacey: Changing the world! Up next is April, which is National Volunteer Month, so Cavanaugh’s goal is to volunteer 75 hours by the end of the month. He is committed to supporting a different cause each month to show kids that they can have an impact. We will be launching a Positivity Challenge that is designed to get kids out and in their communities to give back at least two hours per month. In the coming months, Cavanaugh will be sponsoring 30 underprivileged kids to attend their first play at The Kennedy Center in Washington, DC, then he will be riding his scooter 22 miles from our home in Maryland to the National Museum of the American Indian to raise awareness/funds for the Native Americans on the Pine Ridge Reservation, and then raising money to buy water for an assisted living facility in Flint, MI. How can readers follow and support Cavanaugh and Cool & Dope in the quest to change the world? Llacey: They can visit our website at www.coolanddope.com as well as following us on social media: Twitter, Instagram, Facebook (@cooldopeliving for all three) and on YouTube (Cool & Dope). Change can begin with just one person, no matter how small. We are so proud of Cavanaugh and the change he’s affecting in his hometown and beyond, and can’t wait to see what Cool & Dope does next. Ready to inspire your young bibliophiles to create some change of their own? Sign up for one of Literati’s age-specific book clubs and see what happens next.